As we start today’s readings, we finish the description of fallen Judah. God gives His reason for their punishment through a song about His beloved vineyard. He tells of a vineyard that only produces bitter grapes, rather than sweet ones. In order to solve this problem, He says to them, “Now let me tell you what I will do to my vineyard: I will tear down its hedges and let it be destroyed. I will break down its walls and let the animals trample it. I will make it a wild place where the vines are not pruned and the ground is not hoed, a place overgrown with briers and thorns. I will command the clouds to drop no rain on it.” (5:5-6, NLT). God is telling His people that they must change and come back to Him; they are not the people He sent them out to be. These first few chapters (1-5) were set up to address Judah as it currently was. Then Isaiah returns to the beginning of his ministry. He recounts God’s calling upon him to be a messenger to the people. We receive many accounts about the glory and majesty of God. Aside from Revelation, Isaiah 6 might just be my favorite. 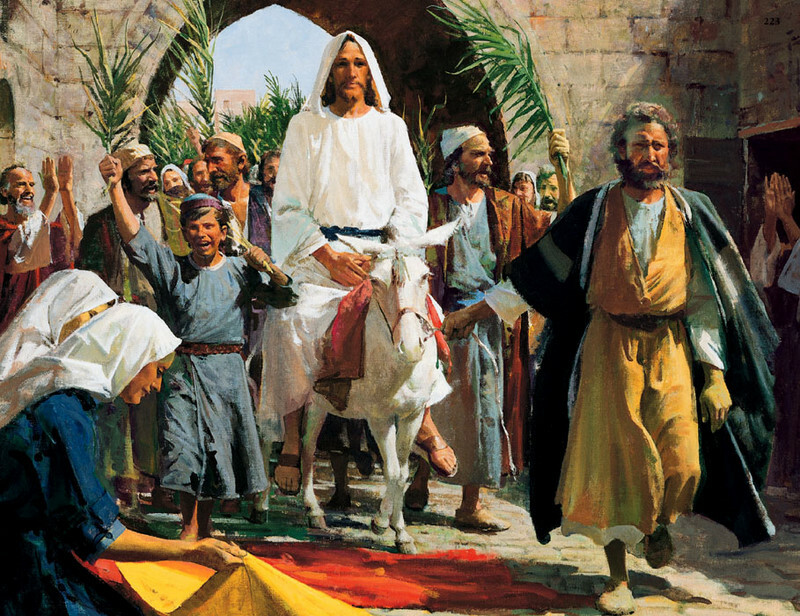 “He was sitting on a lofty throne, and the train of his robe filled the Temple. Attending him were mighty seraphim, each having six wings … Their voices shook the Temple to its foundations, and the entire building was filled with smoke.” (6:1-2, 4, NLT). After having his sins forgiven, Isaiah volunteers to be a messenger for God. The first message Isaiah is sent to give is for King Ahaz. Ahaz was facing both the armies of Israel and Syria. God told him not to fear and to trust in Him, because He would not allow the opposing armies to win. God then offered to give Ahaz a sign for the promise He made to him. Ahaz refused to “test” God, so He chose a sign for him. “Look! the virgin will conceive a child! She will give birth to a son and will call him Immanuel” (7:14, NLT). Isaiah then receives a call to act differently from other people. It doesn’t sound completely unlike the things we are told today. It just goes to show me that the things God wants from/for us never really changes. Unbelievers do not do any of these things, especially realize they are in the dark. God calls us to live a certain type of life, and to do certain things. This isn’t because God just decided this was the way to be. It is the best way to be. That’s what God wants for us, the best. 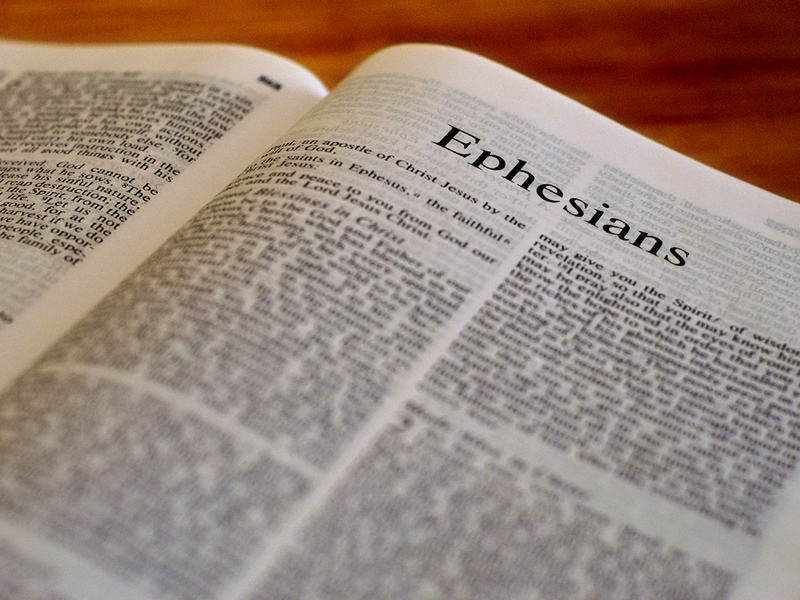 There is another passage of scripture where we are called to be different. “A new commandment I give to you, that you love one another, even as I have loved you, that you also love one another. By this all me will know that you are My disciples, if you have love for one another.” (John 13:34-35, NASB). Christ even acknowledged that we are to be different. On the night of his betrayal, he gave a prayer to God saying, “I do not ask You to take them out of the world, but to keep them from the evil one. They are not of the world, even as I am not of the world.” (John 17:15-16, NASB). We are called to be separate from the world. It should be obvious. People should know from the way that we are that we believe in the one true God, and that we believe in His Son and Holy Spirit. Our faith changes us. It’s not merely something we say, “Yeah, I’m a Christian” without even breaking a smile! God changed you through faith! You are not the same person you were before, but you now stand new. You cannot be a follower of Christ and expect things to remain the same. Christ was a game-changer. He changes our lives. We are called to be different, and that’s what we must be. Sure, you’ll be ridiculed. But what’s more important? Your friends not picking on you, or your Savior knowing you by your faith and love? 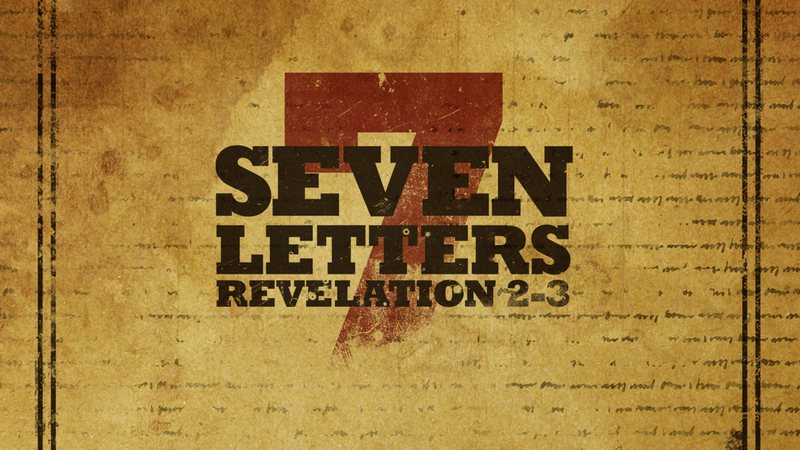 The last letter written in John’s Revelation was for the Church at Laodicea. This church had a problem that I believe most of us get into at some point in our faith journey. Laodicea was “lukewarm”, meaning that they had no passion for God, yet they still had faith. Jesus says to them, “I know your deeds, that you are neither cold nor hot; I wish that you were cold or hot.” (Revelation 3:15, NASB). Jesus is using cold to describe a dead faith, while hot means one that is alive. Jesus tells them towards the end of the letter, “I correct and discipline everyone I love. So be diligent and turn from your indifference.” (Revelation 3:19, NLT). Jesus and John really wanted to send this church the message that their indifference is not okay. What does this mean for us today? DON’T BE LUKEWARM!!!!!! There I said it, post over. I’m just kidding. Just saying that is easy, but how to we keep our passion for Christ. So many of us are fired up when we first meet Christ, but somewhere along the line the fire dies down a bit. I believe the biggest cause of this is our expectation when we enter into this Christian lifestyle. Many people think that life will be easy, but it’s not. Being a Christian is a life of hardship, and when we discover this we draw away from God instead of running closer to Him. The second reason I think this happens, actually comes from one of my cures for the problem. I think people also lose their fire when they realize that the Bible actually teaches things that are against the world’s view. It makes it hard for people because then you come to a decision; do I follow Christ, or the world? When we choose the world, our passion for Christ dies a little, and when we chose it enough, the light goes out entirely. So open up your Bible and read it. That is the best way to hear God’s word, reading it! Also spend time in prayer. How can you expect to hear from God, unless you talk to Him? These two activities are essential in the life of a Christian. If you aren’t doing even one of these, we run the risk of being exactly like Laodicea. This is what help us light our fire again, and keep us from being cold or getting lukewarm. So friends, let’s pick up our Bibles and spend time in prayer everyday, for the rest of our lives! The second to last letter written in John’s Revelation was for the Church at Philadelphia (not the one in Pennsylvania). This church is the first church that Jesus didn’t have an issue with. He congratulates them on remaining faithful and encourages them to press on. But what can we learn from this letter? The previous ones were easy, since Jesus had a lesson and warning to give them. But this church gets its statement right at the beginning of the letter. “I know all the things you do, and I have opened a door for you that no one can close.” (Revelation 3:8a, NLT). Christ opens doors for us. He offers us opportunities to further the gospel along. This could as simple as us talking to a friend, or could be a dramatic as becoming a celebrity. The focal point is that we use these opportunities for Christ. But the part that I love, that I believe truly makes the point is “no one can close”. This says to me that if Christ wants you to do something for him, not only will he give you the opportunity, no one will be able to stop you. The enemy will try to stop you, and believe me he will, but Jesus tells us “I will make [Satan and his followers] come and bow down at your feet” (Revelation 3:9, NASB). This shows that we will overcome against them as well. Jesus says that no one will stop us, so continue on in his power. Has Jesus given you an opportunity to shine the light on him? Are you doing it? The Church at Philadelphia was taking the light shown on them for their good deeds, and reflecting it towards Jesus. We should follow this example, because when Christ has a will, there is no other way. So follow him, and let everyone know that it is all for His glory (Colossians 3:4). Take no credit for yourself, because we are only able to accomplish what we do by the power of Christ working through us (Colossians 3:17). The fifth letter written at the beginning of John’s Revelation, was given to the Church at Sardis. Sardis is a city located in between Thyatira (north) and Smyrna (south). The church here had a significant problem with following through. Jesus says to them “nothing of God’s work has been completed” (Revelation 3:2, MSG). Christ even goes to the point of calling them “dead, stone dead” (Revelation 3:1, MSG). He is calling the church to come back to life and continue doing God’s work. He knows that they have the “can-do” spirit to get it done, but they have decided to stop working. How many of us have this problem ourselves? I know that if I lose interest in a task, it may never get accomplished. But this doesn’t work when it’s God’s work we are doing. James writes in his letter, “So you see, faith by itself isn’t enough. Unless it produces good deeds, it is dead and useless.” (James:217, NLT). That’s what Christ was saying to the Church at Sardis, and it’s the same for us. We cannot simply say that we follow Jesus, and not do anything to progress the gospel (or even live it for that matter). Christ wants us to be alive in our faith, and we show that by doing things. What can be done? Conveniently, Jesus himself told us how to live out the Gospel. “You shall love the Lord your God with all your heart, and with all your soul, and with all your mind. This is the great and foremost commandment. The second is like it, You shall love your neighbor as yourself.” (Matthew 22:37-39, NASB). We must keep God as our focus throughout our lives, and love Him. Then we are to care for others, because this is what Christ taught us to do, “For even the Son of Man did not come to be served, but to serve, and to give His life a ransom for many” (Mark 10:45, NASB). So let’s come back to life, and resume the work God has given us to do!